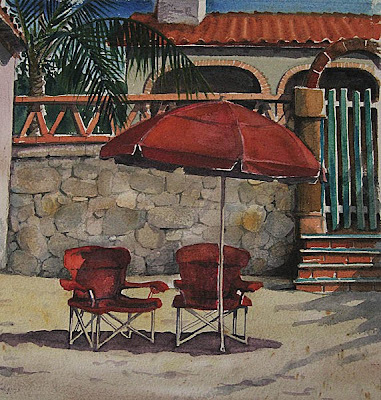 Join me in Mexico for a sketching and Watercolor painting workshop & tour . Tours of Exploration for this excursion. A bit of the beach, the mountains, colonial history and colorful Puerto Vallarta. There will be lots of painting demonstrations, structured lessons for Watercolor, as well as sketching with the group on location. Moderate accomodation (to keep the costs down) Lots of relaxing or shopping time, optional excursions, great food and locations to visit. Paint a little – or paint a lot! Beginners are welcome – and I will have other challenges for you Intermediate to Advanced painters.